ROSE lovers from across the world could come to Toowoomba to see the city's internationally-acclaimed rose garden in the future. 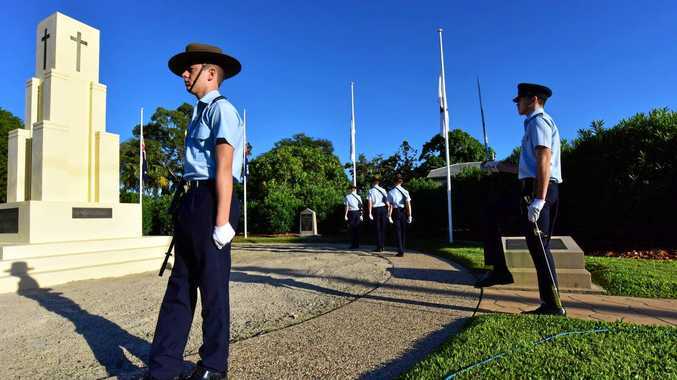 The group behind the Queensland State Rose Garden in Newtown Park officially celebrated the display being named an International Garden of Excellence at a ceremony today. 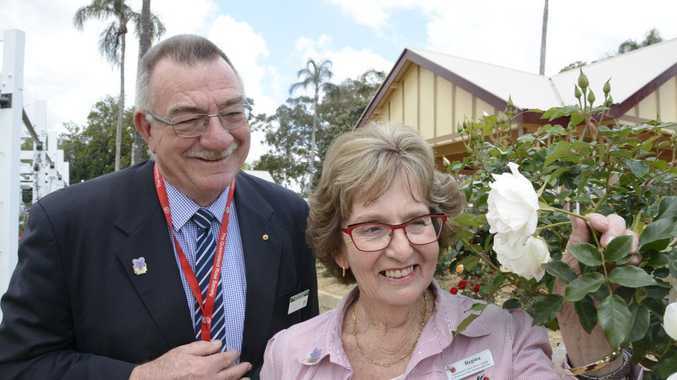 The award from the World Federation of Rose Societies places Toowoomba in rare company, with only about 70 other gardens having received the honour. President Regina Albion, who has been involved since the garden was developed in 2000, praised the work by volunteers and Toowoomba Regional Council staff to achieve the amazing feat. "The volunteers said to have it as a garden of excellence is amazing and we're very grateful for the wonderful staff at the Toowoomba Regional Council," she said. "It's important not just for Toowoomba - the beauty and now the recognition worldwide - just imagine what it should do for us in tourism. "Visitors can have homestays in our country areas, see how we live in Australia and enjoy the roses and enjoy our trees. "To me, Toowoomba's got everything so this is the icing on the cake." Excelling in beauty: The Queensland State Rose Garden win prize for excellence from the World Federation of Rose Societies. WFRS past-president Kelvin Trimper, who signed off on the award before stepping aside, said Toowoomba had to meet several criteria to win the prize. "First of all, the garden must contain more than about 500 roses and 100 varieties, and Toowoomba meets that category," he said. "Secondly, we're looking for a garden that displays roses of all types and varieties, and Toowoomba does that very well. "It joins a very elite group and let me assure you that the rose lovers from the 41 countries of the World Federation and non-member countries will be seeking out Toowoomba to come and visit." Mayor Paul Antonio also called the award a victory for tourism, especially in attracting visitors from rose-obsessed China.